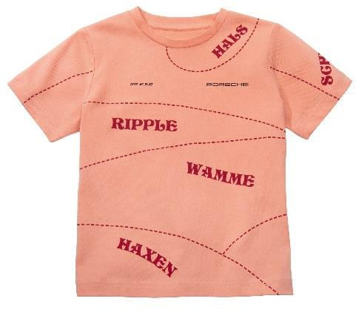 Children's Pink Pig T-shirt. The design was created in honor of the legendary salmon-colored 917/20 that appeared at Le Mans in 1971. In 2018, 911 RSR (# 92) participated in the Le Mans race and won in its class. Very soft T-shirt. 100% cotton. Please check sizing chart for European conversions.